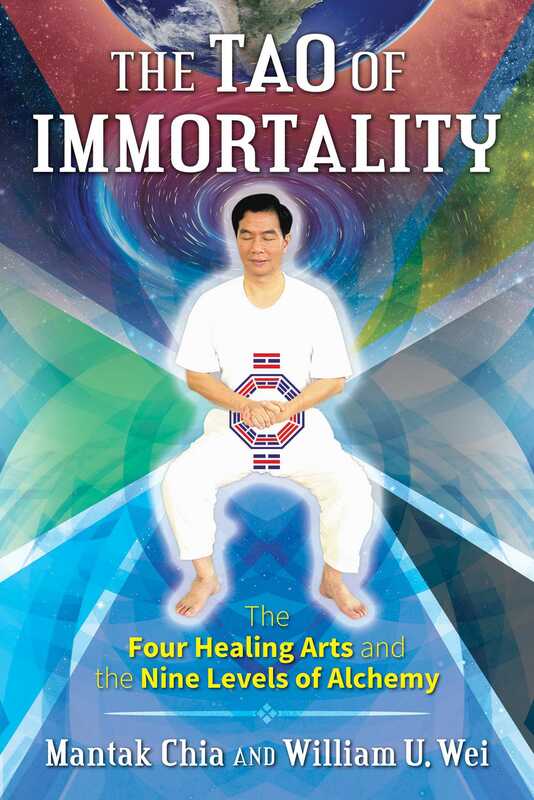 Explaining the evolution and core of the Universal Healing Tao system, Master Mantak Chia and William U. Wei offer a condensed approach to the Inner Alchemy practices taught to Master Chia by his first Taoist Master, Yi Eng, more than 60 years ago. Beginning with the basic principles called the Five Enlightenments, the authors explain each of the nine levels of Inner Alchemy and their more than 240 formulas, including simplified versions of the Microcosmic Orbit, the Inner Smile, Sexual Alchemy exercises for men and women, Fusion of the Five Elements practices, Kan and Li Alchemy, the Sealing of the Five Senses, and Star and Galaxy Alchemy. They explore the Four Healing Arts that encompass the nine levels of Inner Alchemy--Living Tao practices for transformation of your emotional body, Chi Nei Tsang practices for transformation of the physical body, Cosmic Healing practices for transformation of the energy body, and Immortal Tao practices for transformation of the spiritual body--all aimed toward the survival of consciousness in a self-aware vessel. They also offer simplified versions of the other core practices, such as Iron Shirt Chi Kung, Bone Marrow Nei Kung, and Wisdom Chi Kung, to help you easily integrate Inner Alchemy and Universal Healing Tao practices into your daily life. The Tao is the natural flow of the universe. It is what makes everything move. The Tao is the life force in everything that we touch, see, smell, hear, and taste. The Tao is in the air we breathe. It is the very breath that gives us life and the life force within us. You cannot describe or define it; you can only experience and feel it. It is the primordial force, supreme creator, god, or the Wu Chi, ultimate stillness. Primordial force, an aspect of dark matter--as it is known in modern science--fills the whole universe. Dark matter and dark energy are about 95 percent of the universe, and the other 5 percent is our physical universe. Each galaxy contains part of the primordial force, especially our galaxy, our solar system, and our planet Earth. Our brain cells work within a network of dark matter just like the universe. Our spirit and soul embody the intelligent energy of the four thousand trillion stars in the universe. Although the newborn spirit and soul in our physical bodies contain the intelligent energy of the universe, they need to be trained and educated as to who they are and what they are and where they are going. Everyone has a spirit and soul that contain energy. Consider Einstein’s theory of energy and his famous formula E=mc2, the law of physics stating that energy can neither be created nor destroyed, only transformed. Understanding this aspect will help you understand everything. The spirit that you have will never die because it is energy. But because it is energy it has no form and cannot do anything on Earth unless it takes on a physical form. Human beings have a physical body and this provides a place for the soul-spirit to reside and grow and become educated. 1. Your First Realization is that you have spirit and soul. 2. Your Second Realization is that your spirit is divided into five separate infant spirits within the physical body, which reside energetically in the five vital organs (heart, liver, spleen/stomach, lungs, and kidneys). And each infant spirit corresponds to one of the five elements (fire, wood, earth, metal, and water). 3. Your Third Realization is that you consciously decide to train and raise your spirit and soul to gain their knowledge and wisdom, taking responsibility for them, knowing that they never die, but if you do not feed (train) them they will never grow, remaining undeveloped and will move on to another physical body after yours dies. 4. Your Fourth Realization is that you need to find a practice that will train and grow your spirit and soul; one such practice is our Universal Healing Tao System. 5. Your Fifth Realization is that you are born to have a free spirit and soul. Taoist practice seeks to evoke the primordial force--Former Heaven Essence--in order to reunite with it in our body--Later Heaven Essence, or spirit and soul. If you educate and train your spirit and soul they can be free to develop their own understanding and wisdom. When you have mastered the concept, theory, and understandings of the Universal Healing Tao system through study and diligent practice of the system’s Taoist Inner Alchemy formulas, you will be able to transform the energy of the cosmos into your own energy. When your physical body dies, your spirit and soul will be free to enter their place in the divine universe. This is what it means to be a Taoist immortal. Remember that there are five different infant spirits within you. There are several spirit centers and functional channels in the body and together they control your thought processes and emotions. They are very powerful. The five infant spirits are the following: Yuan Shen is our Original Spirit; located in the heart and small intestines; first in command, with red light (conscious awareness, thought, reason, inspiration, and intuitive insight). Hun is our Hun Soul, Wood Vision; located in the liver and gall bladder; second in command, with green light (dreaming, vision, symbolic imagination, and myth). Yi is our Intention Spirit, Earth Ripening; located in the spleen, stomach, and pancreas; third in command with yellow light (planning, intention, and action). Po is our Po Soul, Metal Transforming; located in the lungs and large intestines; fourth in command, with white light (somatic awareness, sensation, organic body processes, and instinctual responses). Zhi is our Willpower; located in the kidneys and bladder; fifth in command with blue light (sexuality and reproduction magic, obsession and desires, deep sleep, archetypal imagination, fate, collective unconscious, archaic primordial unity, and transformation). In the long run, you want your infant spirits to gain wisdom and that is something that cannot be attained in school. Wisdom is only acquired in the stars. Your goal then is for your collective spirit and soul to become educated, grow up, and recognize your oneness with the universe. You need a system that will provide enough energy to feed your spirit and soul—a system that will provide energy from the earth, the stars, and the heavens, as all the planets and stars have inexhaustible energy. The Taoist Inner Alchemy practices that Master Chia learned from his teacher, Yi Eng, and which he has codified into the Universal Healing Tao system, can provide the knowledge and tools to set your spirit free. But practice is what makes perfect. It is your own study and dedicated practice of these ancient Taoist formulas that will provide the key to your success.